Google Pixel 2 Camera Sample In Latest Teaser? I’m more excited for Google’s smartphone event on Oct. 4 than I am for the launch of the new iPhone X. Three iPhone’s were unveiled, including the iPhone 8, iPhone 8 Plus and iPhone X. No surprises there, aside from the naming scheme. Google will go official with the Pixel 2 on October 4 and they have shared a teaser to that effect on its Made By Google page. The page usually contains all Google’s products and the upcoming models have got their own page. A clever fan was able to dig up some clues by checking up the page and it is an image in the new event site. 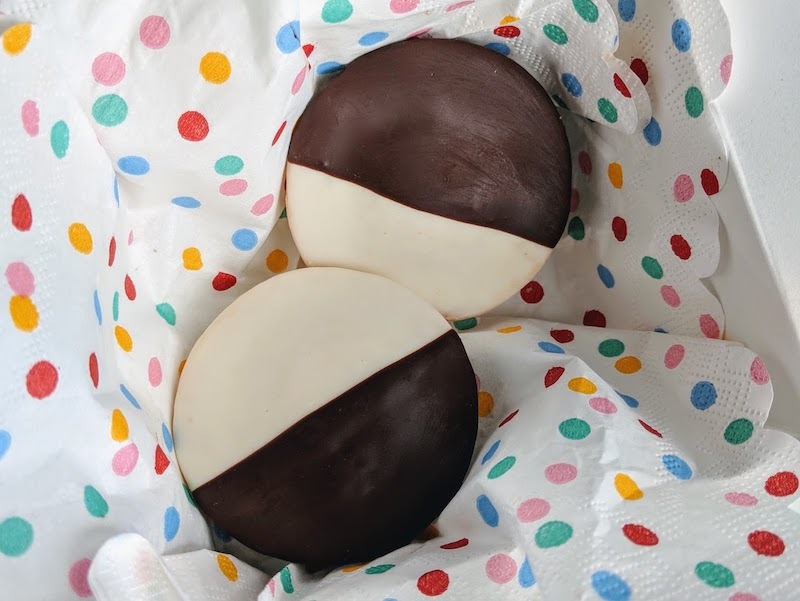 The image shows two cookies, which are both half black and half white, both on napkins covered with dots. While we cannot say what the image depicts, it could be that the device will only be available in white and black. This suggestion doesn’t look like the right one, though. The image’s EXIF data was looked up before it was removed and it is shown above. The EXIF data shows Google added some bit of mischief to the beat. The data shows the image was shot with a Google phone but the model is listed as “Not that easy” with a winking smiley. What readily comes to mind is that the photo was shot using either the Pixel 2 or Pixel 2 XL. Of course, both models will likely pack similar camera sensors. The image isn’t too spectacular but you never can tell, it could just be the first of many camera samples from the Pixel 2 that we’ll be seeing in due course. In addition, the image’s geotagging coordinates leads to Google’s Mountain View, California headquarters. Google Pixel 2 XL is expected sport a 5.99-inch 1440p OLED display which will have a taller, bezel-less screen, while the Pixel 2 is expected to come in at 4.97-inch 1080p display with a lesser but equally good 1080p resolution and the display will have larger bezels. Both models are also expected to feature dual front speakers on both phones, squeezable displays similar to what we have on the HTC U11 as well as an always-on display mode. If rumors are anything to go by, then the second generation Pixel phones will not pack the 3.5mm audio jack. Keep an eye out on October 4th for all the details. And start saving up. The new Pixels won’t be cheap.